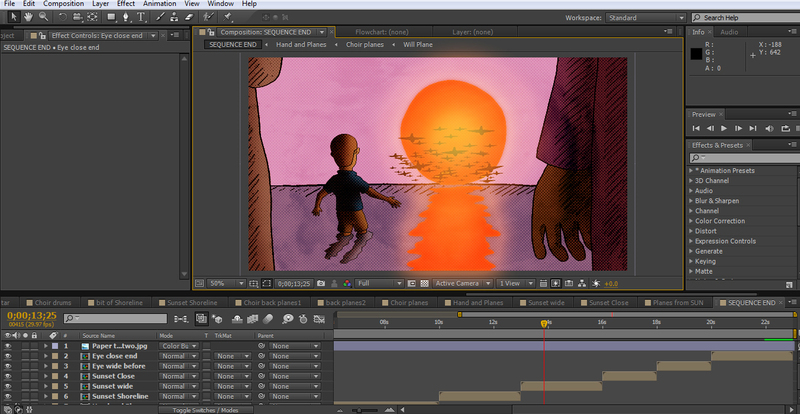 So the sun has set on the production of the latest Kayosoul music video. ‘Fly With Me’ is a track from the forthcoming Kayosoul EP and it’ll be released with a big fanfare and everything in September 2013. I provided four short sections of animation which punctuate the live action parts like dream sequences. It was a hefty amount of work which dominated my time from late May through to late July but I’m happy with how it’s turned out and looking forward to showing it off once it’s online. Especially the bit where the guitarist (in live action) emerges from the animated clouds. That’s my favourite bit – cloud guitar! In the last few days I’ve been attacking some personal projects (including anteaters and comic submissions) and met with a friend who’s interested in having some of my drawings on the wall of his new apartment. So I’ve scanned all my doodles for him and finally posted the April ones below.